Can be eaten plain or with a spread like a slice of bread. The cakes go well with both sweet and savoury spreads. - Agriculture Biologique (French organic farming). Lima was founded in 1957. For over 50 years, Lima has been committed to promoting a balanced vegetarian diet. From traditional Japanese products (miso soup, soy sauce , green tea, etc.) to vegetable-based dairy-free drinks, the brand encourages the consumption of healthy foods made from carefully selected ingredients. Their products are both nutritional and organic. Lima carefully develops all of their products with complete consideration for nature and the environment. 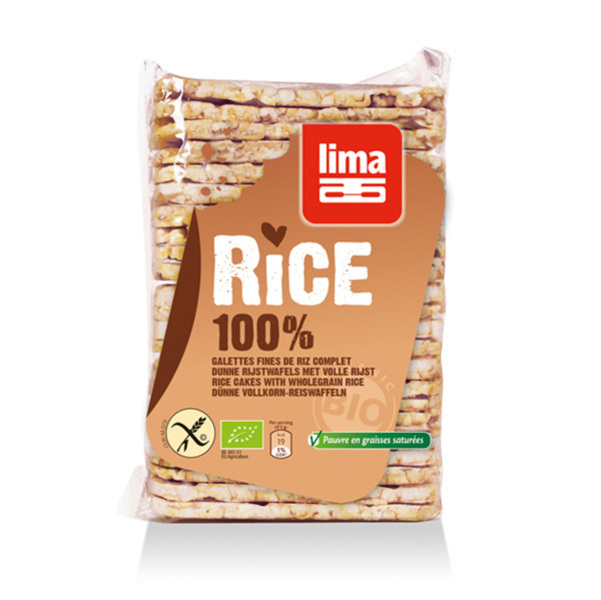 The taste, quality and diversity of Lima’s products contribute to a balanced diet and a healthy lifestyle.